Lexus is hosting Escape to Amazing, a first-of-its-kind gourmet food, wine, and travel experience. Lexus guests have been invited to attend the exclusive event from 14 - 18 November 2018 in the Margaret River Region of Western Australia. Lexus believes that true luxury is about elevated experiences, hospitality, and emotional connection. Staying true to this conviction, we are proud to present Escape to Amazing as the first event of Journeys in Taste, a series of lifestyle experiences in the culinary and travel world. Specially curated for our esteemed guests, the five-day experience will feature epicurean adventures that delight the senses, and impart a true sense of imagination, passion and attention to detail. 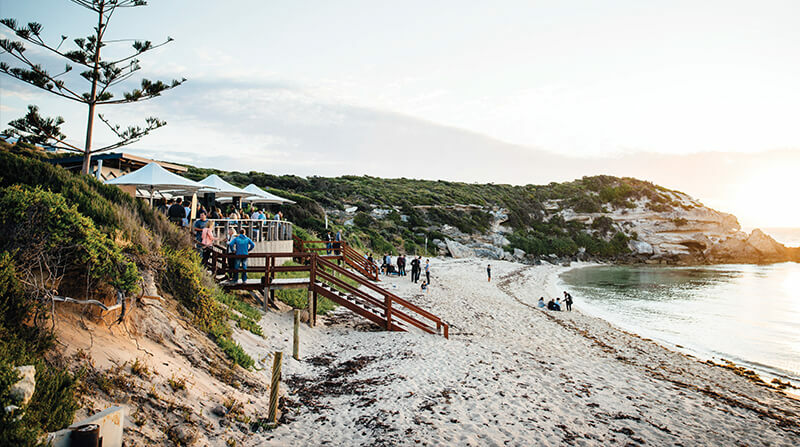 Lexus is also the official automotive sponsor of Margaret River Gourmet Escape, where guests will meet author and television star Nigella Lawson, and savor the very best wine selections from Fraser Gallop Estate and Xanadu Wines. Guests will be chauffeured in style, as well as be treated to an amazing stay at the award-winning Pullman Bunker Bay Resort. Some of the world’s culinary greats will craft sublime gastronomical experiences for our guests. Among them is chef Paul Carmichael, who greets the guests with an intimate welcome at Leeuwin Estate winery’s Safari Club. Guests will engage with local artisans, and enjoy a magnificent feast of locally-sourced entrées, vegetable side dishes, and meats cooked over an open fire. Guests will also enjoy a culinary experience like no other with famed chef Paul Iskov, who uses regional ingredients to uncover new and unexpected flavors. In another imaginative dining experience, chef Shaun Quade will use experimental culinary technologies and inventive approaches to cooking to delight the guests. The night will take cues from Lûmé, one of the first restaurants in Australia to incorporate augmented and virtual reality into the fine dining experience. The finale of Escape to Amazing will be Sunday brunch at Yarri Restaurant and Bar, an inspired showcase of chef Aaron Carr’s take on modern Australian-fusion cuisine that celebrates artisan growers and farmers, vignerons, distillers, fishermen, butchers, and cheesemakers. The luxurious but leisurely experience will be a gateway between the Margaret River Region and future destinations; a look ahead to more imaginative and unique experiences to come in Journeys in Taste. Join us as we journey towards exciting new horizons and delightful experiences in the culinary and travel world. For news and press releases regarding global events, please visit www.discoverlexus.com.